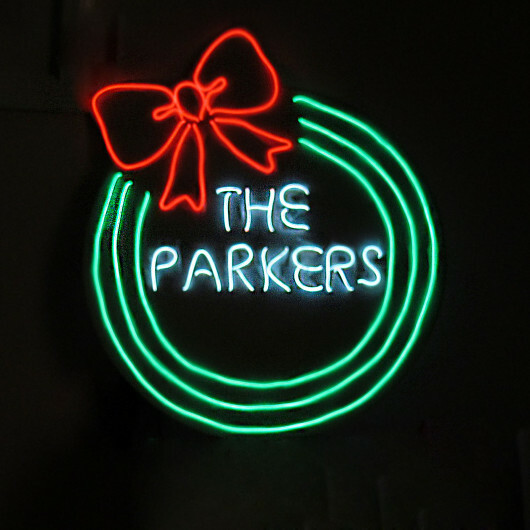 This personalised neon Christmas wreath will look stunning on any front door, porch or hallway. Perfect for Christmas parties, this Neon Christmas Wreath is a fabulous Christmas gift for any family! This neon sign is handmade in our workshop, please note this is not the traditional blown neon but a newer more flexible neon light which allows us to create any word or shape. 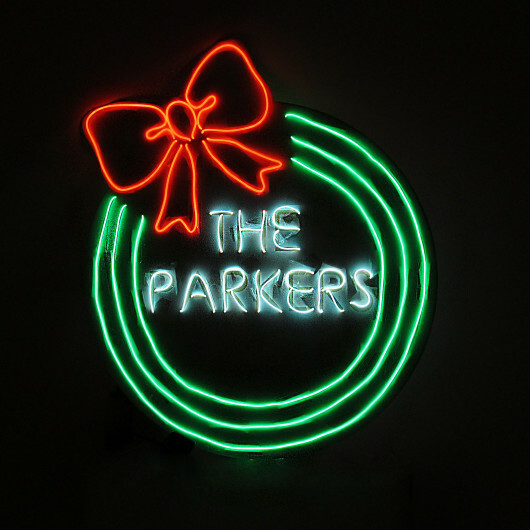 This personalised Christmas wreath has green, red and white neon in its creation. Your wreath can be created using white pvc mountboard, which is 10mm thick foam filled sign board cut to shape into the wreath or for a more traditional clean neon sign look you can opt for the 6 mm clear acrylic. The wreath has a small hole cut just below below the bow large enough for the wreath to hang onto a nail, tack or screw in the wall or door. The wreath measures approx 450mm diameter at its widest point. This personalised Christmas wreath is operated by a small black battery pack as can be seen from the images. It has a continuous, strobe and blink light function. The batteries can be replaced. Please note when switched on the battery pack does emit a slight whirring sound. This should only be noticeable when first switched on. You can personalise the wreath with a name below 'THE' as per the image, please note that this is limited to 8 characters due to the size of the letters required. The personalisation will always be done in UPPERCASE due to the font type used.